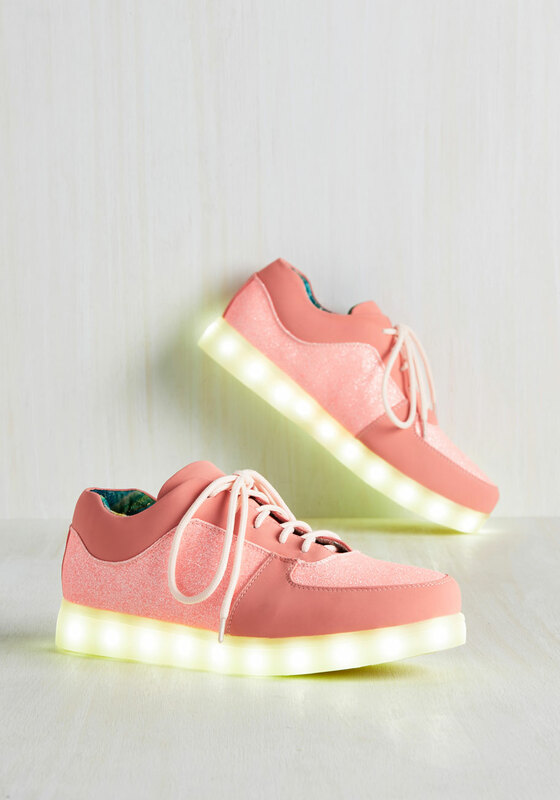 We love the combo of salmon pink and neon yellow—plus, peep that galactic inside. 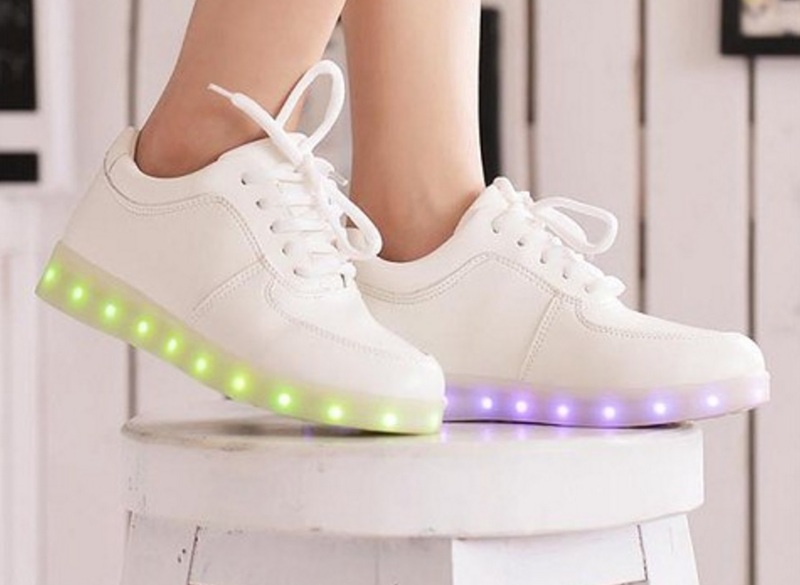 We’re serious about Star Wars and these shoes prove we mean business. 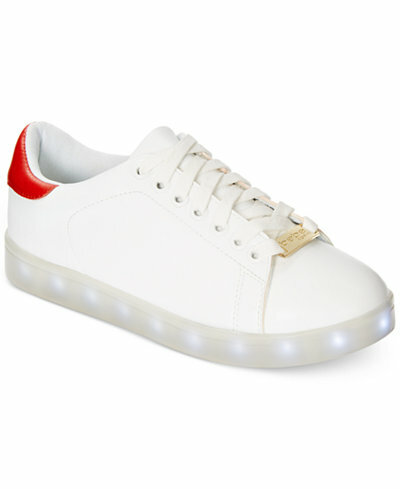 For those who want something a little more subtle, these shoes are sophisticated yet funky. 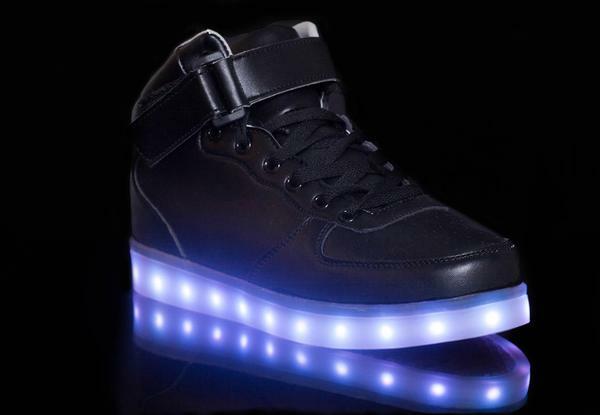 These shoes are the future Marty McFly dreamed of. 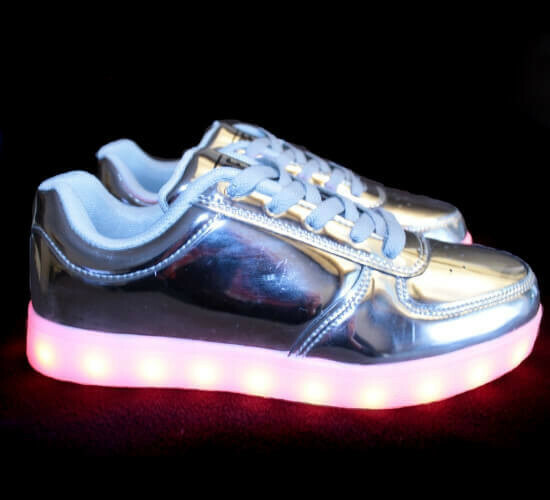 With these shoes, you are your own epic dance floor. 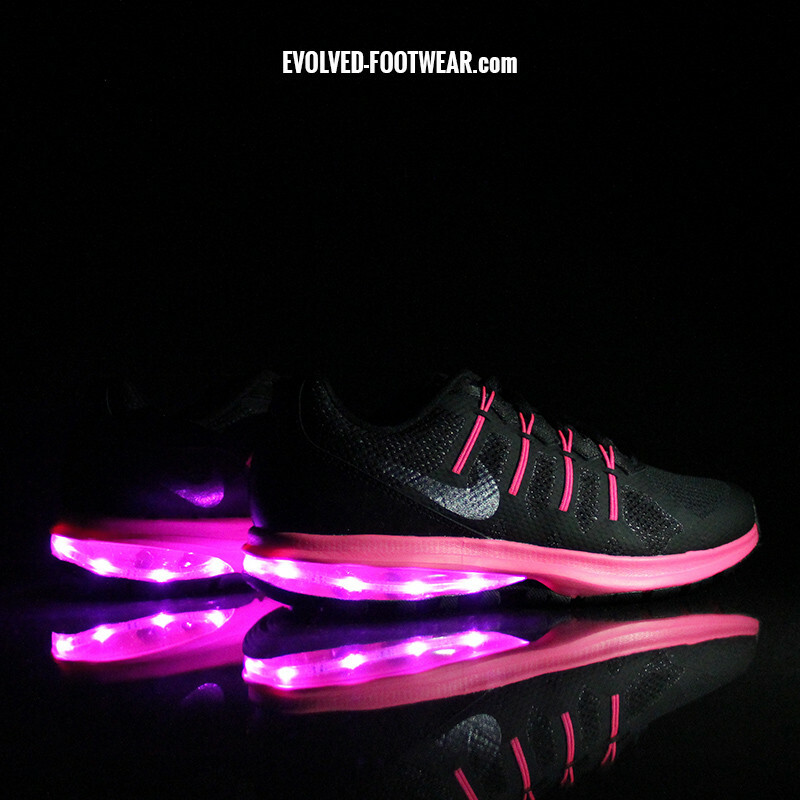 Cool things off with silver and pink. 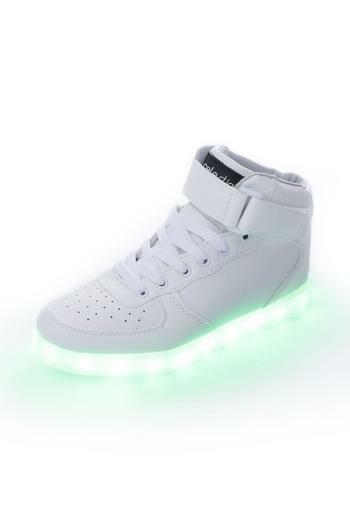 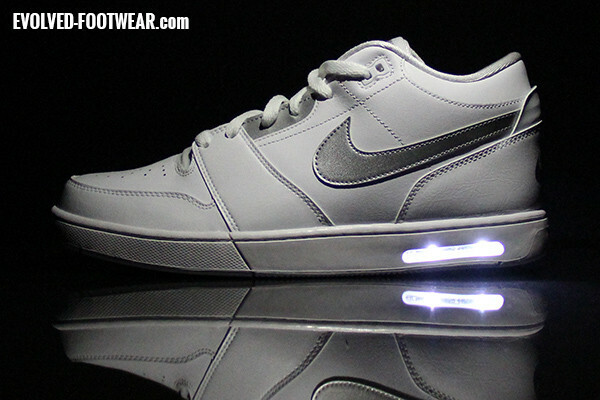 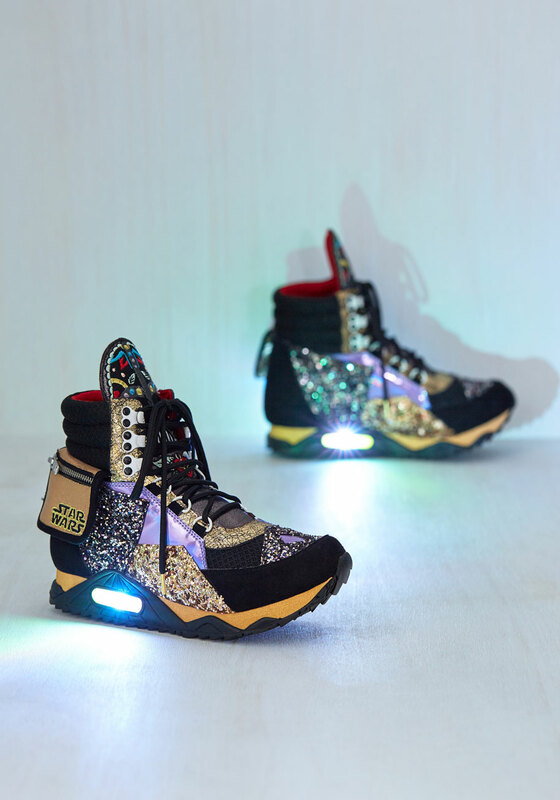 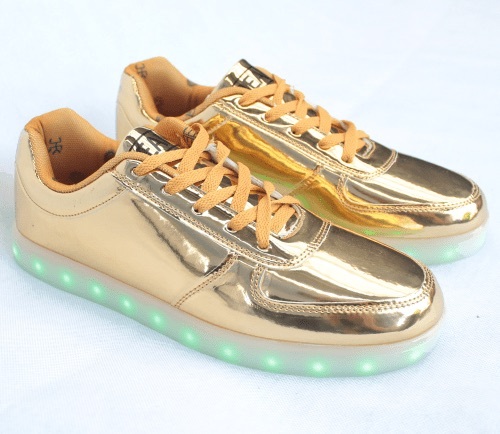 Now these look like the light-up sneakers we remember. 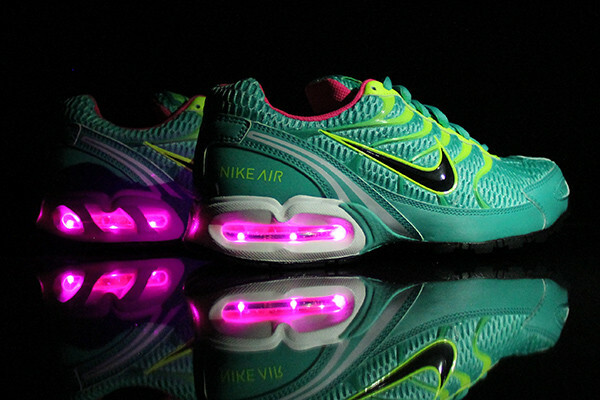 This just took late-night running to a whole new level.